We are pleased to announce a new mobile layout that should provide an improved experience for mobile device users. We’ve changed the look of the search box and refinements, increased the size of the thumbnails, and simplified the pagination. Most of these changes only affect mobile devices, but the refinements have also been updated for desktop. The mobile-specific changes can be optionally disabled by setting the "mobileLayout" attribute of the search element to “disabled”. 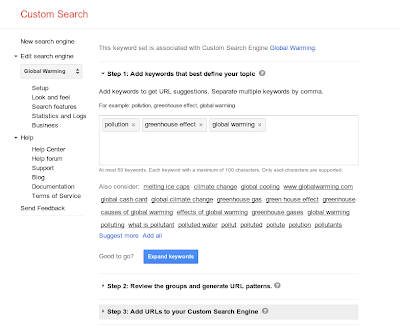 This entry was posted in Custom Search Blog and tagged Google Custom Search, Search on April 22, 2019 by Custom Search Team. We are excited to announce an expansion of our Custom Search Engine offerings. We offer the following implementation options for Custom Search Engine. Nonprofit Search Element - This free search element is available for non-profit groups (such as charities, schools, and governments), and is similar to the Standard Search Element but does not have advertising. JSON API - This API costs $5 per thousand queries, allows programmatic access, and does not have advertising or Google branding. However, this API is limited to 10,000 queries per day. Today, we are excited to add a fourth implementation option. Site Restricted JSON API - This API is similar to the JSON API above, but there is no daily query cap for Custom Search Engines that search 10 sites or fewer. Learn more about how to use the Site Restricted JSON API from the developer site, or learn more about the differences between these offerings to help select the implementation option that works best for you. This entry was posted in Custom Search Blog and tagged Google Custom Search, Search on July 16, 2018 by Custom Search Team. If you are a nonprofit or a school looking for high quality, customizable search experiences for your site, organization, or school, we are excited to announce that Custom Search Engine is now integrating with Google For Nonprofits, https://www.google.com/nonprofits/, and with Google For Education, https://edu.google.com/products/productivity-tools/, to offer Custom Search Engine for free without advertising. Learn how to sign up for these programs in our help center. This entry was posted in Custom Search Blog and tagged Google Custom Search, Search on July 26, 2017 by Custom Search Team. We have several important announcements that may affect your Custom Search Engine or may require you to make changes to your Custom Search Engine. Please read this post carefully. Custom Search Engine (CSE) is a great way to build custom search experiences for your website visitors. The search space is evolving rapidly and we want to make sure that CSE continues to evolve to meet the needs of your users, whether they are visiting from desktop or mobile devices. In order for us to achieve this, we first need to clean up some older access points that cannot support the improvements we will be adding. Move to the current API. Use the CSE control panel to set your CSE configuration. Use the CSE control panel to input or upload your annotations. There will no longer be a way to exclude certain autocompletions. There will no longer be a way to show promotions inside autocompletions; however, normal promotions will continue to work. We recognize that making these changes may be inconvenient, but cleaning up these old interfaces will allow us to focus on many new and exciting improvements to CSE. We will be modernizing the look and feel of CSE for both desktop and mobile users, improving uptime and latency, and working on the quality of our search results and autocomplete. We look forward to delivering a better CSE experience for webmasters and your website visitors alike. This entry was posted in Custom Search Blog and tagged Google Custom Search, Search on February 16, 2017 by Custom Search Team. We are happy to announce the integration of Google Custom Search with the schema.org standard. Schema.org is a structured data markup schema including a shared markup schema vocabulary that is supported by major search providers. This integration enables you to create powerful and expressive topical search engines by simply specifying schema.org types in your Google Custom Search Engine definition. How would you go about using this new feature? Say you are the webmaster of a site about movies. You might want to create a movie search engine that can search for pages about movies either from your website, your affiliated websites or from the millions of sites that use schema.org. 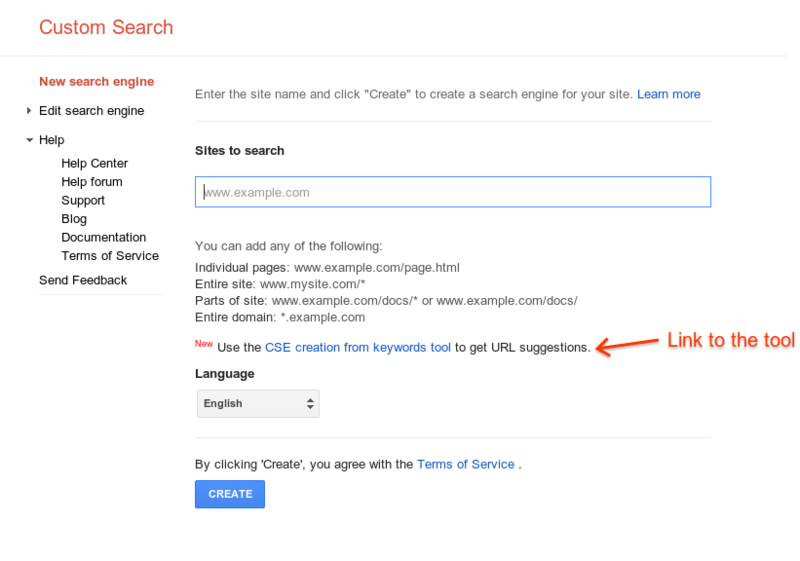 Achieving this functionality is now only a click away thanks to the integration of Google Custom Search with schema.org. All you have to do is add the schema type “Movie” to your Custom Search Engine definition, as shown below, and you’re done! Users of your movie search engine will then only see result pages that have the “Movie” schema annotation. You can even refine schema.org-based search engines with other advanced search features. For example, you might make an engine for pages that describe http://schema.org/JobPosting, with a country restriction of "France", or a language restriction of "French". To know more about creating Custom Search Engines with schema.org types, visit our developer documentation. Posted by: Neelesh Bodas, Custom Search Engine team. This entry was posted in Custom Search Blog and tagged Google Custom Search, Search on March 24, 2014 by Custom Search Team. Custom Search provides upto 5000 URL patterns to define a “slice” of the web to search over. However, if you’re creating a Custom Search Engine on a topic, such as “global warming”, finding more than a few good sites for a topic can be hard. We recently launched suggested sites to help suggest more sites for your search engine similar to your included sites. Today, we’re introducing another tool that is hopefully intuitive as well as interesting : You can discover hundreds of sites to include in your CSE starting just with keywords! For example, for a CSE on “global warming”, adding keywords like [pollution], [global warming] and [greenhouse effect] can lead you to discover global warming related sites within minutes. This tool attempts to combine Google’s knowledge with the topic expertise you have - Google suggests sites, but you can control the topic expansion, and guide the tool towards your topic in a fine grained way. The tool is accessible off of the New Search Engine page on the Custom Search control panel. Give the tool a whirl, see more details on how the tool works in our documentation, and let us know what you think on the product forum. This entry was posted in Custom Search Blog and tagged Google Custom Search, Search on October 21, 2013 by Custom Search Team. Have a CSE to search over your favorite topic (e.g. cars)? Here is a new feature to help you expand your CSE’s definition. This feature recommends more url patterns relevant to the ones you already have in your search engine. We also provide a set of sample pages for each of the recommended patterns. You can find more documentation here. Make your CSEs better and richer. Try this out now on your CSE’s homepage ! 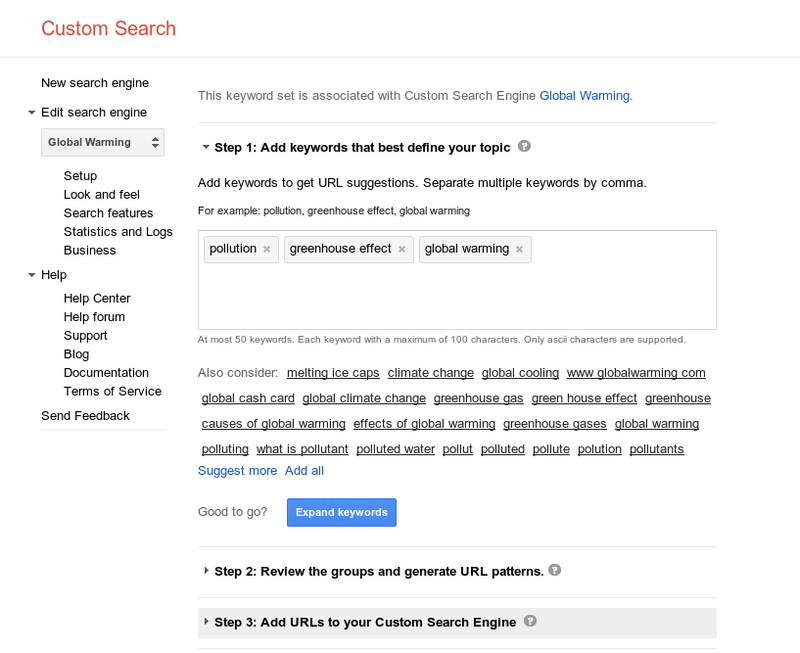 This entry was posted in Custom Search Blog and tagged Google Custom Search, Search on September 12, 2013 by Custom Search Team. We’re excited to announce a new, modern design for the control panel in keeping with prior user experience changes to Custom Search. You’ll also find a more intuitive layout to the various controls and configuration options. While configuring a Custom Search Engine, you can immediately view and test your work within the control panel. We hope you enjoy the new look! This entry was posted in Custom Search Blog and tagged Google Custom Search, Search on March 13, 2013 by Custom Search Team. Simplicity and speed are two principles we love when it comes to design at Google. Today, we’re excited to announce the new CSE layout that displays results in an overlay, on top of any content on your page. Takes seconds to create. We simplified the creation interface to get you going faster. One snippet for search box and results. Place it where you want your search box to appear. Powerful features now come by default: autocomplete, image thumbnails and results sorting. Faster, more simple search means more chances for your users to discover great content from your site. You may visit W3Schools to see the new layout in action or use the CSE below which searches our blog. Try out the new layout by creating a new search engine. It takes less than a minute. Once you have your search engine snippet ready, simply paste it on your website. This entry was posted in Custom Search Blog and tagged Google Custom Search, Search on January 16, 2013 by Custom Search Team. Custom Search Engine (CSE) allows you to incorporate rich search functionality into your website. You do this by adding specific HTML markup - known as the Custom Search element - to web pages on your site. The Custom Search element renders a search experience (search boxes and results pages) on your site’s pages. By controlling the placement of the Custom Search element on your pages and configuring your CSE settings, you can create customized layouts that are tuned for the look-and-feel of your website. We’re happy to announce today a new, improved version of the Custom Search element. Here are some of the key highlights and improvements of what we call Custom Search element v2. Search UI is rendered based on the settings stored on the Google CSE servers. This means that any configuration changes you make in the CSE control panel will automatically be reflected on your web pages the next time they reload. You no longer need to copy-and-paste new element code into your website when you modify your CSE using the control panel. All element code is loaded asynchronously for reduced page load times. 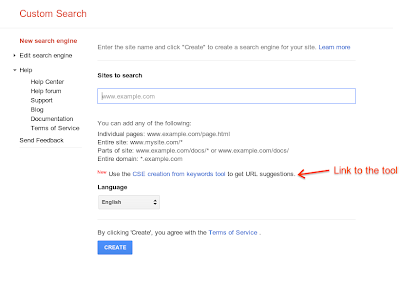 To start using Custom Search element v2 on your website, go to the “Get code” section of the CSE control panel and follow the instructions shown there. We’ll continue to support older versions of the Custom Search element for the time being but encourage you to update your CSE implementation to take advantage of the improvements. This entry was posted in Custom Search Blog and tagged Google Custom Search, Search on August 3, 2012 by Custom Search Team.